Okay! Musume Time: Bring on the Power!!! 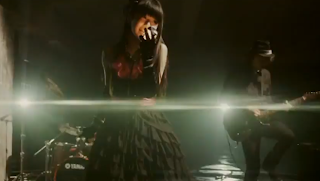 - Sachika Misawa's 'Unite' PV Review! Bring on the Power!!! 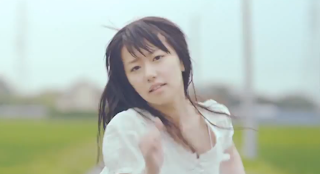 - Sachika Misawa's 'Unite' PV Review! All opinions within this blog are my own. What I think about a single, PV or singer is my right, and you have the right to think how you want about it too. If you don't like it, okie dokie~ If you do then we might agree on a few things! Either way, all of our opinions are our own dearies! Oh boy oh boy oh boy... I keep getting distracted by random online things, as well as the cuteness of my niece screaming her head off at one of my sisters talking to her. I need to learn to ignore things, or else nothing gets done! Anyway, it seems to be Sachika Misawa Day, because my last post was about her single as well as a little bit of background on her, too. Well, because I've been lazy recently, I decided to try and find her PV today, and lo and behold, it was uploaded via some kind souls Youtube account. It was easier to find than I thought, so I was pretty happy that it had been fully uploaded, because the preview promised it to be epic, and coupled with an awesome song, I had my hopes set high for this release. Much like Ogura Yui's solo debut single, Raise, Sachika's single Unite is the ending theme to an anime. Unite is the second ending theme for the anime Accel World, in which Sachika voices one of the main characters, Kuroyukihime. This is her first major anime voice role, and she has also had the pleasure of recording a song for the series, and as I said in my single review for Unite, for an anime song, this is amazing and sounds nothing like what I used to listen to back in my Otaku days. 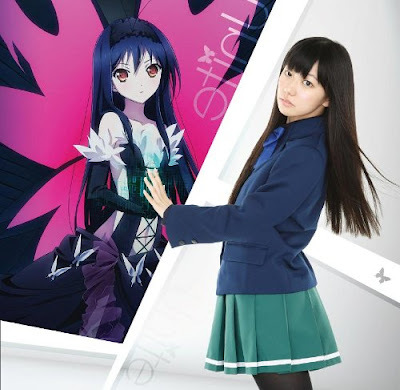 And luckily enough for Accel World, the producers didn't get the short end of the stick unlike Campione! did, because y'know, they got stuck with Ogura Yui and her poor attempt at singing Raise. Oops. POW!!! 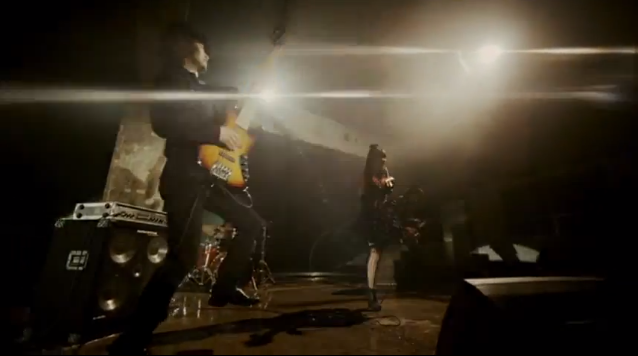 Epic opening with the guitarist and the ever-so beautiful Sachika. You go girl! Way to open up a video! 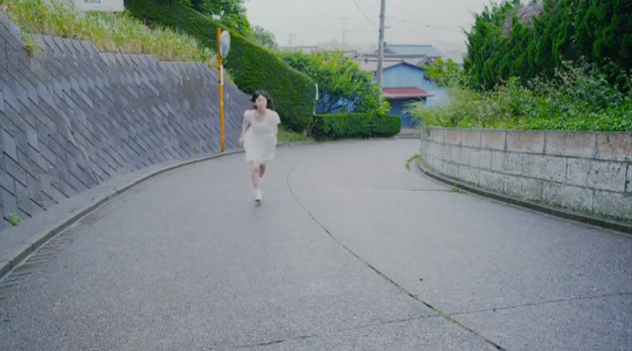 Oh no, don't run away Sachika! Raise will end soon, I promise!!! 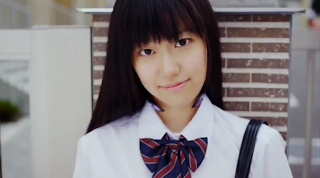 Okay, is it just me, or does Sachika look hot with this kind of girly meets rock and Idol look going on? 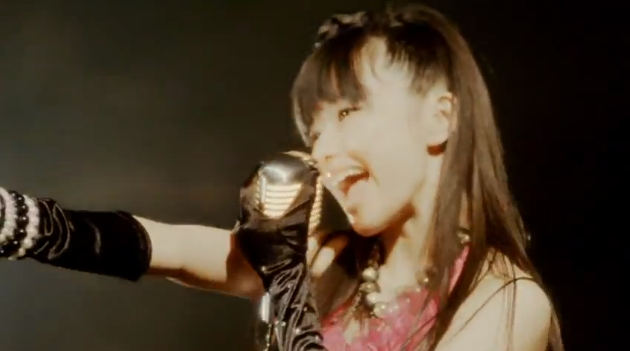 Also, she handles that mic waaay better than Buono did back in Zassou no Uta!!! 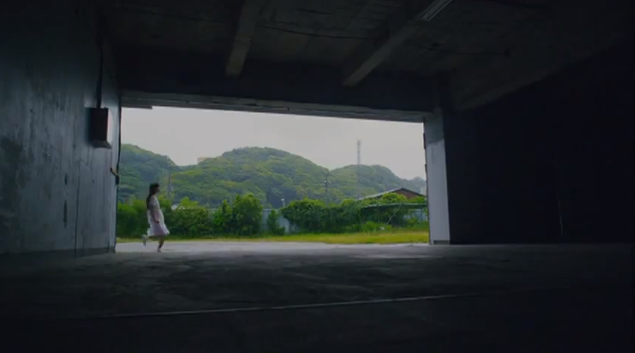 For some reason this countryside setting reminds me slightly of ManoEri's y Days For You, which is good, cos' I love that PV and song! 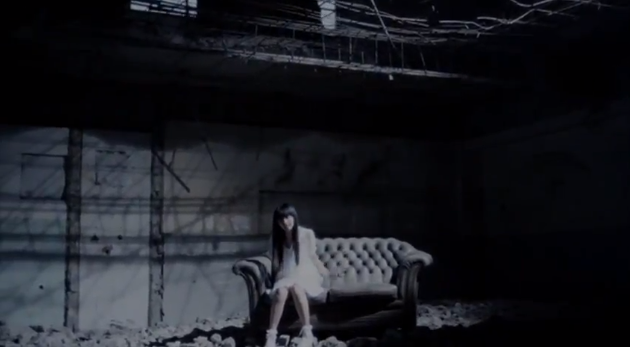 Probs cos' I get some Nanchatte Renai vibes from it, dunno why. Are you on drugs dear? 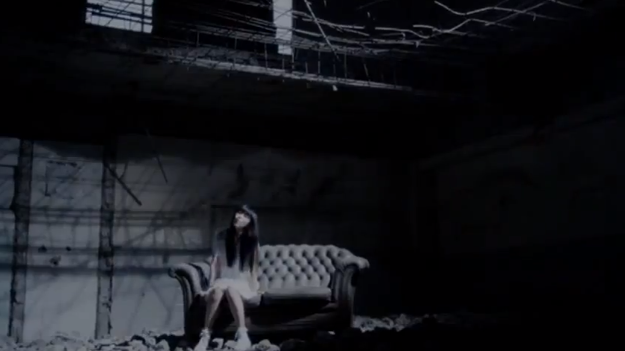 Though a nice illusion to the Idol/Singing side of the video! 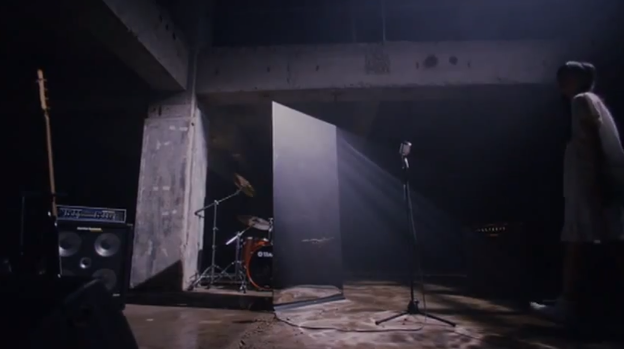 Smash everything up with your microphone! You know you want to!!! I like the throw back to the single covers with the mirror. Sachika: "There are two sides to me... my gamer side, and my regular side..."
Don't forget your Idoru side, sweety. I love this scene! Oh man, I want that sofa! Yes... yes you are! 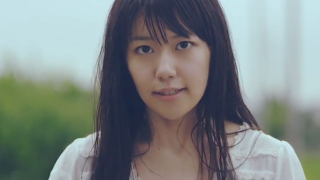 You are the prettiest Seiyuu that I can think of right now!!! Sachika: "I want to be praised more than Yui!!!" OH MY GOD she could play as Sadako from the Ring!!! 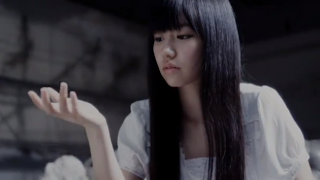 Sachika: "This is my pet rock, I named her Ogura Yui..."
Sachika: "I don't want you anymore..."
Sachika: "I want my rock back now. Give it to me." Erm... no, Sachika, you can't have your rock back. It's hurt because of you. I called the Rock Cruelty Services because of what you did. Good to know you hurt the rock and its feelings, girl. Good to know. 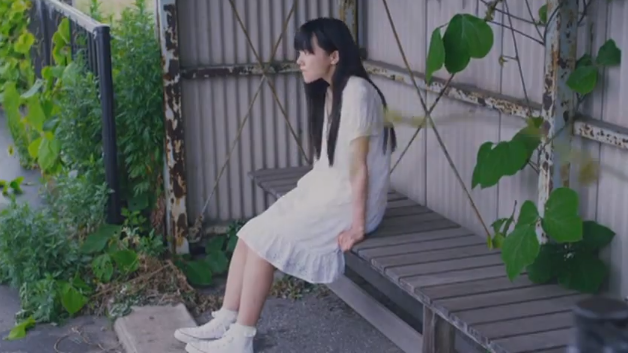 Sachika: "I can just find another rock to, er, 'love'..."
Sachika Misawa has really impressed me with both her single and her PV. For first impressions, I am pretty blown away by how much effort was put into not only the recording, but the video itself as well. Sachika is a really good singer, and just as good a performer. 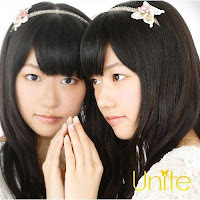 Who would think that Unite is the debut single for a new Seiyuu such as Sachika? Unite has a beautiful PV behind the song, showing Sachika as both an Idol and a regular girl who seems to be concerned and in a rush, as if she is fighting for time. Throughout most of the video, it's as if Sachika is struggling and in desperate need to get somewhere whilst she's running. 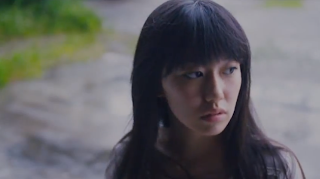 She has certain looks on her face which show her desperation, fitting the mood of the song and the video and showing us what she is feeling. I was surprised that someone so new to a solo video was so good at acting already. 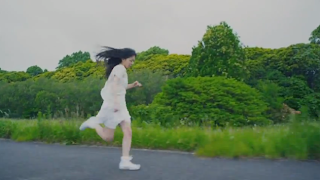 To me, she didn't look awkward or at of place - she fit right into the video, as if she was made for filming. 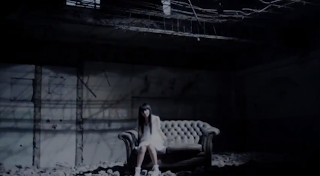 Other scenes included Sachika in her Idol form, singing in a dark and dank building with a band, and another scene is showing Sachika just sitting in a part of the building, beneath a collapsed roof, on what seems to be a faded leather couch. I do quite like the scenes where she is sitting on the couch, because there are times where as she sings and moves, she looks like she is trying to reach out desperately for help, or as if she is in need of someone to help her, but I was really amazed by how she looked and how she moved in the scenes where she stood with the microphone - it was amazing how she seemed so comfortable to move so much when she was singing, and how she really got into the feel of the song. Just little things like banging her head down to a certain beat or how she swayed was really amazing to watch for some reason, and I was totally captivated by her. 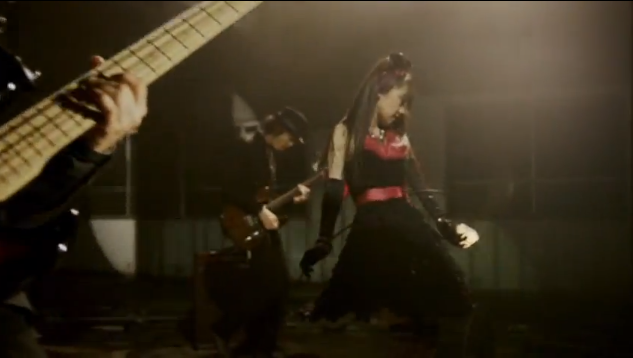 In fact, nearly everything about this PV had me captivated - I actually got pretty excited about the video itself early on, and no wonder - this is an incredible PV. Sachika Misawa is an amazing performer, and she really expresses herself - she takes on the role of her character perfectly and just shows us a great performance throughout the entire video. Even when she's sitting down, I can't look away. I was so moved by the video, I didn't even want to blink in case I missed something. 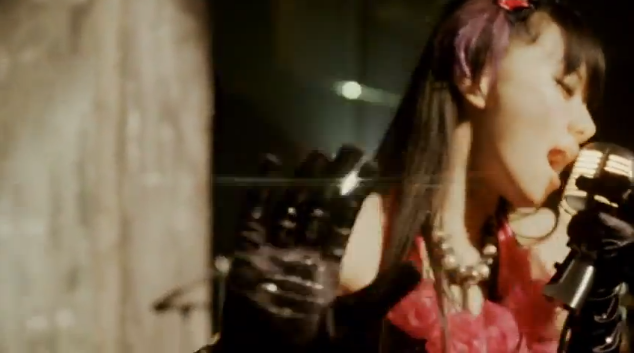 Now, if an Idol has you refusing to blink during a video, then they are an amazing performer. That may just be me, but for me, I found Sachika in this video absolutely brilliant, and I haven't been so moved by an Idol or a group since Fudanjuku's Kaze Ikki. The song itself is incredible too, and I find that the video and the song go hand in hand. 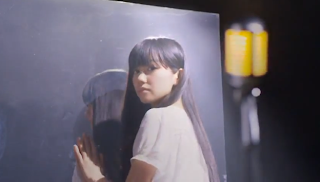 The scenes fit the desperation and power of the song, and Sachika's performance is incredible. It honestly makes me question how she hasn't had a single out beforehand. In fact, it makes me question how this single is for an anime! It's incredible... the PV justifies the song, and the song is just so powerful and really enhances the maturity of Sachika's voice. 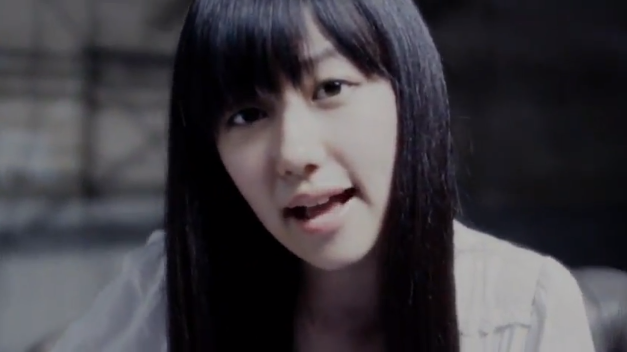 I'm just so happy I came back to this song and looked for the PV, because if I didn't, I would have missed out on how great Sachika really is. I am basically blown away - with a PV that has a little bit of a storyline, the producers made it into something great, something that fit the song. 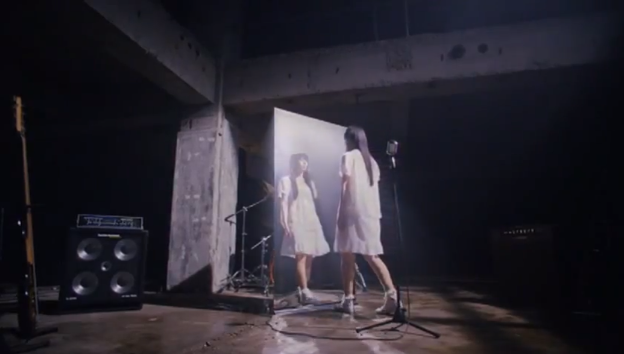 I like how they tied in certain scenes of the PV, such as the scene where she comes into the building and finds the microphone and guitars etc, hinting to how she started singing there, as well as the mirror shot which is a throw back to the covers for this single. Just these simple things hold such importance, and I think that the producers did really well. Bundle that all together with contrasting dark and light scenes as well as rotating shots, you get a pretty nice PV with one heck of a performer.